In late June I discovered what turned out to be a large mass in my abdomen. I was referred and scheduled immediately for a meeting with a surgeon at Seattle Cancer Care Alliance—and I hoped for a quick fix operation. But CT scans and a biopsy revealed follicular lymphoma—a slow-growing cancer that cannot be removed through surgery, but must be treated by chemotherapy. This was hard news that I never expected I would receive—especially at a time when I’ve been in the best physical shape in years. Suddenly our future seemed up in the air. Our immediate plans for 2018-19 include Certificates in Transformational Ministry at the Margins (CTMM) trainings in Bristol, Glasgow, Paris, Vancouver, Tanzania, Rabat (Morocco), Stockholm and New Zealand (www.peoplesseminary.org). We are entering a particularly fruitful season internationally and locally for which we’ve been preparing for years– offering needed support to front-line workers. Rounds of chemotherapy beginning in August would make it nearly impossible to move forward with our trainings, or continue with our normal schedule at home. All this upheaval drove us to prayer, and many people have been blessing us by interceding and showing levels of tender care that we had never experienced. An African pastor friend from Tanzania sent me a message saying that as he prayed for me he kept getting 1 Corinthians 10:13. At first glance this verse didn’t seem to resonate with my situation. “No temptation has overtaken you but such as is common to man…” I wasn’t experiencing what I would call a temptation—unless it was to fear. I decided to look up the underlying Greek word and learned that peirasmos not only means temptation, but commonly includes meanings like adversity, affliction, trouble, and trial. Suddenly the verse was highly relevant. During the months of July and August I took regular trips to Seattle Cancer Care Alliance where I sat in waiting rooms filled with cancer patients I would have normally thought of as the “them” over and against healthy me. What I am now experiencing is common to so many people around the world. It has been a deeply moving experience to find myself amongst others facing adversity, and I have been also remembering James 1:2-4. James 1:5 then mentions that “if anyone lacks wisdom, let him/her ask of God, who gives to all generously and without reproach, and it will be given.” And this is exactly what I have needed– wisdom to know the next steps. That is good news! 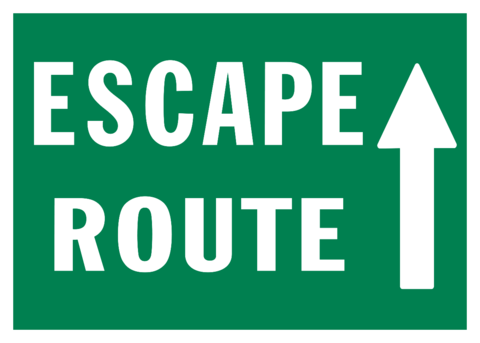 But 1 Corinthians 10:13 goes even further still, offering a prophetic promise—an escape route provided by God (rather than one of my own making) so that we can endure. I have been in special need of hearing this for myself. Would God help me escape this chemotherapy and its effects—and the cancer itself? The Seattle Cancer Care Alliance surgeon referred me to a lymphoma specialist– but the appointment was set several weeks away. So very difficult to wait! Finally the appointment date came and the doctor outlined the normal chemotherapy process, telling me about what to expect, side effects and risks. He said that for especially active people like me, chemo usually feels like a major blow, which would make it unlikely that I’d be able to offer our planned trainings. No way of escape was yet visible. Then he surprised me by inviting me to consider participating in a clinical trial of a drug that has been effective with follicular lymphoma over the two years the trial has been running. This trial would involve me taking a weekly pill with minimal side affects, monthly check ups and lots of monitoring. Further tests would be necessary to determine whether I indeed qualified. So during the month of August I underwent a bone marrow biopsy, extensive blood tests, PET scans and more CT scans, all before my August 29 appointment. Tests showed no cancer anywhere but in the tumor, confirming the original diagnosis. I was admitted into the clinical trial and began the medication that day. September 2 we flew to London, and Gracie and I have completed chaplaincy and teaching responsibilities with Westminster Theological Centre, and two CTMMs in Bristol and Glasgow through Tierra Nueva Europe. We are now in Paris where we will offer our first French CTMM beginning this Wednesday. I have now been taking the trial medication for three weeks and I’m feeling no side affects. I continue to pray that the tumor and all traces of cancer disappear. With new eyes to see and a renewed hope, I am helping others whom I accompany to face adversity, with an expectation of discerning ways of escape. May you too look for and expect the Holy Spirit to reveal to you escape routes that give you breakthroughs in the midst of your troubles, trials and temptations.